In conjunction with the opening of “Florida Calcite: Rare Specimens of a Common Mineral” exhibit, which runs from Feb. 21-May 3, the Gillespie Museum will host three of the state’s renowned geologists on Stetson University’s campus during a Science Café on Thursday, Feb. 21, 7-8:15 p.m.
“Florida Calcite: Rare Specimens of a Common Mineral” will be on exhibit in the Gillespie Museum from Feb. 21 – May 3. This new exhibit features the personal collection of Thomas Scott, Ph.D., P.G., emeritus assistant state geologist of the Florida Geological Survey, and provides the university’s faculty, staff, students and the community with a unique opportunity to view uncommon calcite specimens, which is Florida’s unofficial mineral. During this opening-night reception and discussion, Scott will be joined by Harley Means, assistant state geologist, FGS, and Sam Upchurch, vice president and senior principal geologist of the SDII Global Corporation and former University of South Florida professor and chairman of the geology department. The conversation will focus on digs, finds and decades of research in Florida’s karst terrains. Cultural Credit is available for Stetson students. 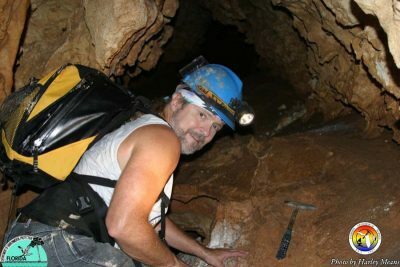 Scott has collected from quarries, underwater caves and limestone seams during his four decades as a professional geologist. From cave pearls to crystal-filled fossils, these natural formations offer a rare perspective of the state’s geologic history. The exhibit includes 35 specimens selected for its scientific significance and pure beauty from hundreds of minerals in Scott’s collection. As a component of the limestone and dolostone substrate of the Florida platform, calcite (CaC03) is an abundant mineral. 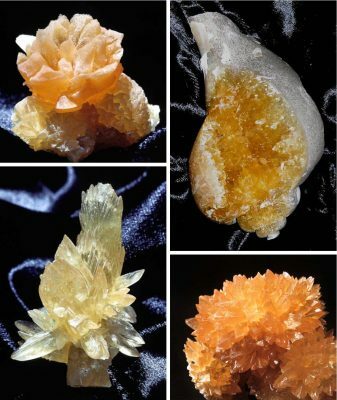 Yet the crystal formations of minerals, including calcite, are rare. Only under ideal conditions, as in cavities or caves where the necessary elements are present in groundwater, can minerals grow and form perfect crystals. The exhibit showcases Florida calcite’s beauty and diversity and the museum’s Science Café provides an opportunity to obtain firsthand knowledge from geologists. The Gillespie Museum is located at 234 E. Michigan Ave. in DeLand. For more information, call 386.822.7330 or visit www.stetson.edu/gillespie.